Great studio spaces and learning labs don’t just happen. They are planned. Just like an interior architect plans the use and functionality of a space, engaging the right lighting for the task and understanding the cultural needs of the occupants, our studios are designed for the optimal benefit of students and faculty. The new desks are designed for the rich collaboration that occurs in the studios. You and your friends will spend a lot of time in the studios, and the open environment — your view from one end of the studio to the other is largely uninhibited — makes collaboration easy and studio time more enjoyable and rewarding. And because of our interdisciplinary curriculum, you’ll share studio space with students from other schools in our college, which leads to richer discussions and broader thinking. In all, close to 40 studio classes meet in our three floors of studio spaces in the Art + Architecture Building (our main hub), and three meet in our large studio space in the Fab Lab, our exploration hive in downtown Knoxville. 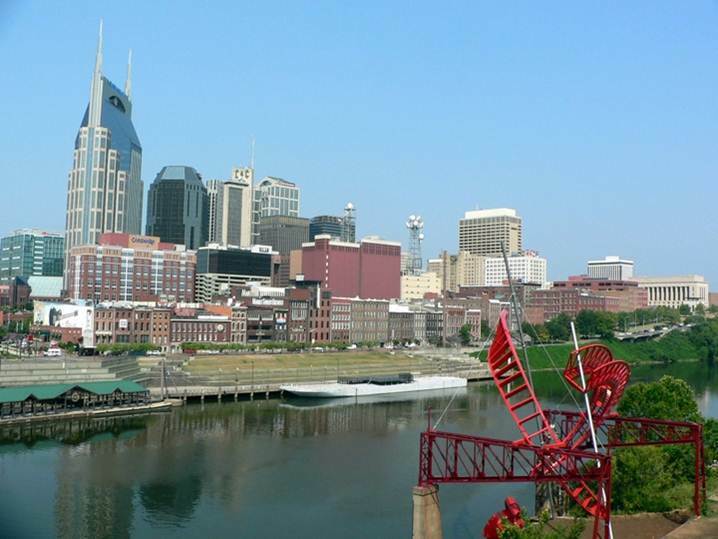 Plus, we have studio space in Nashville at our partner, Nashville Civic Design Center. The Studio Culture Policy was developed and adopted by the Dean’s Student Advisory Council and college faculty in Spring 2010. It was reviewed and its graphics were updated in 2017. The policy simply lays a foundation of respect, collaboration and excellence, so critical thinking, ideating and exploring are welcomed and celebrated. We opened a lighting and photo lab in 2018 for our students and faculty to use to take professional-quality images of models. Located in Rm. 235, the lighting and photo lab provides stations for up to three people to shoot simultaneously. Professional lighting and phone-mount tripods can be checked out on a 24-hour basis from the Digital Print Center (DPC) Rm. 309, and digital cameras can be checked out from Hodges Library. To use the lab, faculty, staff and students should reserve stations (235A, 235B, 235C) using Outlook. 5 laser cutters (up from 2 in 2016-2017) MORE COMING SOON! The value of the technology in the Fab Lab, alone, is more than $1M, and recently, we made about $100,000 of upgrades to technology in the A+A Building. And we’re not finished, yet. The UT Letterpress Studio, with a Challenge and Vandercook Press and type specimens, is a joint project of the Graphic Design and Printmaking programs at UT. The studio provides tutorials in letterpress printing to both graduate and undergraduate students at the university, and since 2016 has made it possible for students in Studio Art, Graphic Design, Architecture, Creative Writing and other disciplines to work on books and broadsides created through letterpress. Additionally, the facility has been used as a resource and teaching tool for a variety of classes at the university. The Printmaking and Graphic Design programs include a letterpress studio for creative research, collaborative projects and instruction. The studio is located in Rm. 335A of the Art + Architecture Building. For semester hours and more detailed information please visit Printmaking Letterpress. Contributing to downtown Knoxville’s urban renewal, the Fab Lab is a 20,000-square-foot maker space in a renovated historic building, but there’s nothing old about the Fab Lab. The Environmental Design Lab builds on the interdisciplinary partnership at the heart of the School of Landscape Architecture to extend our reach beyond the classroom into the community and region. We offer two wood fabrication studios (wood shops), one in the Art + Architecture Building, our main hub, and one in the Fab Lab, our downtown maker space at 525 North Gay Street. Offering students studio and internship opportunities, off-campus study experience, hands-on engagement with community members and real-world design experience. Myriad resources are available through our Tennessee Research and Creative Exchange, Materials Library and Architecture and Design Subject Library.